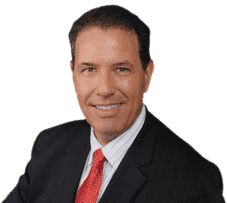 The Cooper City Car Accident Attorney that will fight hard for you is Robert Gluck from the Law Offices of Robert E. Gluck, P.A. He has been a lawyer since 1989 and is highly regarded for his experience and knowledge in many areas of law, especially car accidents. He is devoted to seeking justice for his clients and will make sure you get the outcome you deserve. Whenever there is a car accident, you must first prove if it was a result of negligence in order to move forward with a case. Your Cooper City Car Accident Attorney will make sure to launch a thorough and complete investigation into the accident to prove negligence existed. Negligence is the standard of care one must follow to avoid injury to others. Involved in the investigation will be finding and talking to any witnesses, taking pictures of the accident scene, assessing property damage, obtaining video surveillance, and locating additional necessary evidence. Cooper City Car Accident Attorney Robert Gluck will make sure the investigation is completed as efficiently and thoroughly as possible. With Robert Gluck's impressive background as a Cooper City Car Accident Attorney, you can rest assured that you will be in great hands. He will use his extensive resources to prove who is at fault for your accident, review your medical records with you and your doctor, and ensure you receive compensation for all your medical bills as soon as the case is over.